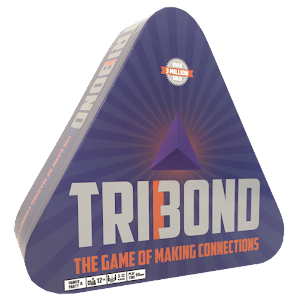 I'm really looking forward to this new Tribond game! When I was younger, we would play at school, but I've never owned the game myself, so I'm looking forward to picking this one up! When exactly can we plan to see this in stores... summer's almost over! Keep up the Tribond of the Day! We continue to have update trouble, but we're working it out, so thanks for your patience. The new edition should be out in a few weeks!